Three months have just vanished. We’ve gone from ‘getting to know you games’ to the first exams, and the first internship is starting after the summer holidays (did I mention that I have full school holidays? Six weeks off? just checking). 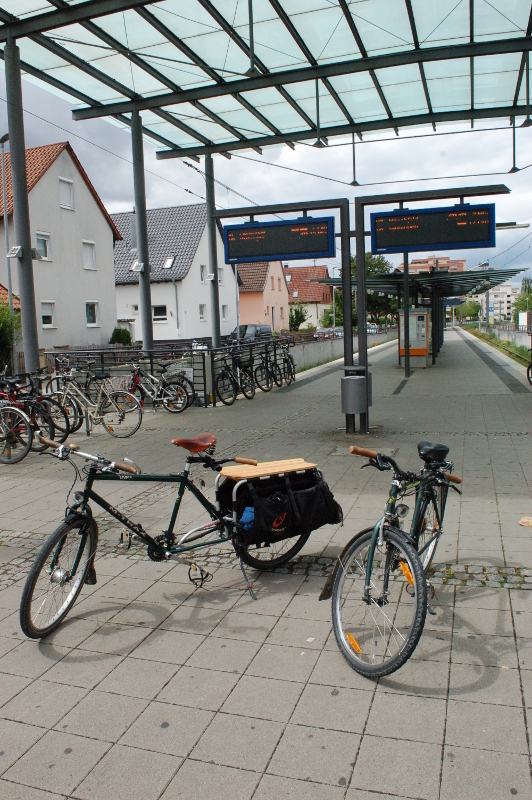 Meanwhile Eldest Son, who originally featured in the early days of this blog riding on a bike with stabilisers, is now able to ride on the commuter bike, hence the presence of both bikes at the end of the local tram line.